This week we continue to take a look at what the surviving members of Last of the Summer Wine have been up to since the series concluded in 2010. There is not much more to report about Mr. Kitson since we featured him in 2014 (click here). The actor continues to try and find investors for the film he has longed dreamed of getting made – a family friendly western set in Yorkshire called Fistful of Dreams. Hopefully one day Kitson's dream will come to fruition. Another project Kitson has spent time trying to get off the ground is a LOTSW spin off comedy series, called Cooper and Walsh, starring Kitson and Louis Emerick in their LOTSW police officer roles. Unfortunately, to date not enough money has been raised and the project is currently on hold. 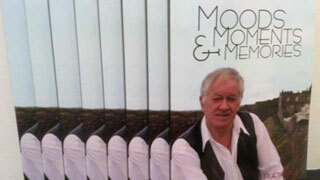 Despite the lack of acting work, Kitson, who lives in Scarborough, Yorkshire, has been keeping busy making public appearances, most recently at book signings and readings for his autobiographical book of poetry, Moods, Moments and Memories. It hasn’t been that long since we featured Tewson in a tidbits article last fall. Here’s a link. Since then Tewson made a short twelve minute film about dementia. It’s a very sweet love story and is available to watch online here. Abbot joined the LOTSW cast in 2008, playing "Hobbo", a former milkman with delusions that he was once a secret agent. 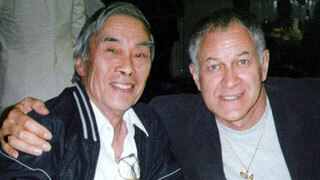 He was in the last two seasons of the series and at just over 60 years old, was one of the show’s "younger generation". When he joined LOTSW, Abbot was already a well-known face to British television viewers and had been since the 1970s when he started out as a singer/drummer with a comedy band, the Black Abbots, who in 1969 won Opportunity Knocks (the U.K. equivalent of America’s Got Talent). By the 1980s, Abbot was heading up his own weekly television comedy show where he entertained viewers every Saturday night with a variety of zany and manic characters. For over a decade Abbot was one of the U.K.’s most popular entertainers. When not winning awards for his television work, he was releasing hit records, touring the country, or appearing in summer variety shows and Christmas Pantomimes. In 1993, Abbot switched gears and took on his first straight acting role, starring as a widowed ex-teacher in a comedy drama called September Song. The role of Abbot’s friend was played by Judi Dench’s now deceased husband Michael Williams. The show ran for three series through 1995. Abbot also took to the stage appearing in dramas, comedies, and even Shakespeare. His most notable performances though were the musical ones – he had the lead role in Doctor Doolittle, played Alfred P. Doolittle in My Fair Lady, was Grandpa Potts in Chitty Chitty Bang Bang, and most notably starred as Fagin in the West End revival of Oliver! Three times! First in 1999, then in 2009 and again in 2010. 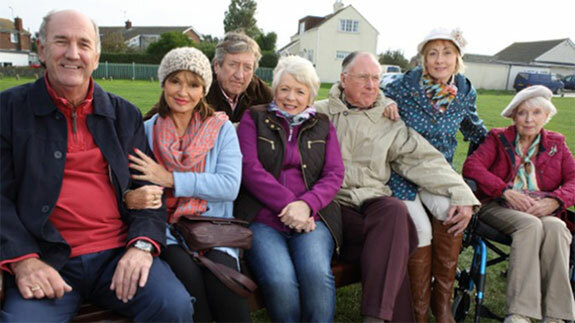 Abbot returned to television last year in the BBC comedy series, Boomers, about a trio of retired couples living out their twilight years on the Norfolk coast. A second series aired in the U.K. this past spring. Appearing alongside Abbot in Boomers is June Whitfield, who played Nelly in LOTSW. Next week, we’ll conclude our review of LOTSW surviving cast members with a feature on the 90-year-old actress who has been entertaining television audiences for almost 70 years!